The Inffinito Festival Circuit has, for 15 years now, taken the best of the Brazilian cinema to Vancouver, Miami, New York, Buenos Aires, Montevideo, Rome, Madrid and Barcelona. It will arrive in London for the 2nd BRAZILIAN FILM FESTIVAL between the 1st and 5th September. Directed by Fabio Barreto. With Gloria Pires, Rui Ricardo Diaz, Cleo Pires. 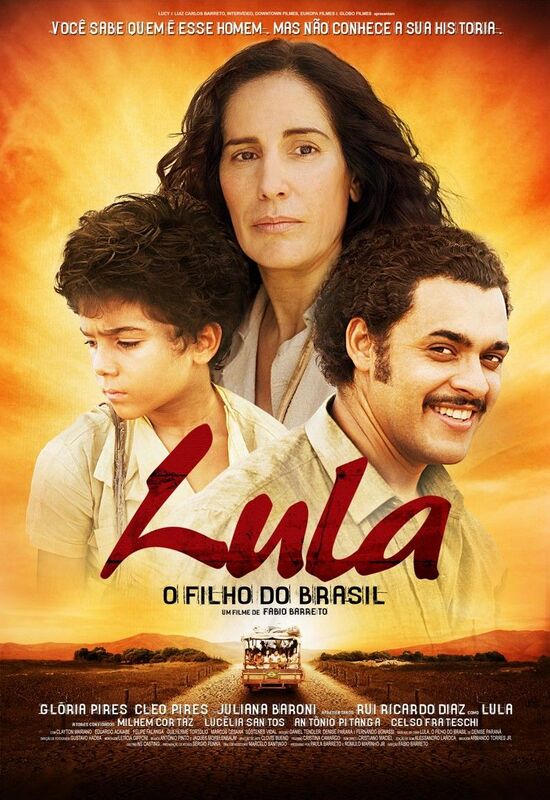 This emotionally involving, fictionalized biopic about Brazilian president Luiz Inácio Lula da Silva, widely known as “Lula,” focuses on his poor childhood in the interior of Pernambuco, and especially on the integrity and commitment of his mother, played by the incomparable Pires. Archival newsreel footage cleverly enhances the recounting of Lula’s formative years as a union organizer. In Portuguese; English subtitles. 130 min. To his credit, Cameron did not simply pop up in Manaus impromptu without getting the full inside story behind hydro-power. With the help of hardworking and dedicated organizations such as Amazon Watch, Cameron toured the Xingu River and attended a gathering of over 100 indigenous leaders from dozens of communities. Not to be outdone, he also visited Altamira, a local town which stands to be flooded by the Belo Monte dam. The 42nd Brasilia Festival of the Brazilian Cinema opened Tuesday with a screening of Bruno Barreto‘s Lula, O Filho do Brasil (Lula, the Son of Brazil), a biographical movie about President Luiz Inacio Lula da Silva. The film festival runs through November 24 and will show more than 300 films. An amount of 470,000 reais (about $275,000) will be given in prizes, among which 65,000 reais ($18,800)will be awarded for digital short films. Besides movie screenings, workshops and seminars will be held during the festival in Brasilia. According to local press, 800 tickets had been given to federal officials for the opening of the festival, which is restricted to 1,200 guests. “The president asked that all staff working with him should be invited. He wants waiters and secretaries to be in the session,” Silvestre Gorgulho, federal district secretary of culture, told local press. However, President Lula himself will be unable to attend the premiere, since he is participating in the World Summit on Food Security in Rome, Italy. Barreto, director of the movie, told local press that US President Barack Obama had already expressed interest in watching the film.